Yes, it’s true. Berlin has an amazing number of Thai restaurants. It is also true that most of them serve ok thai versions of dishes. 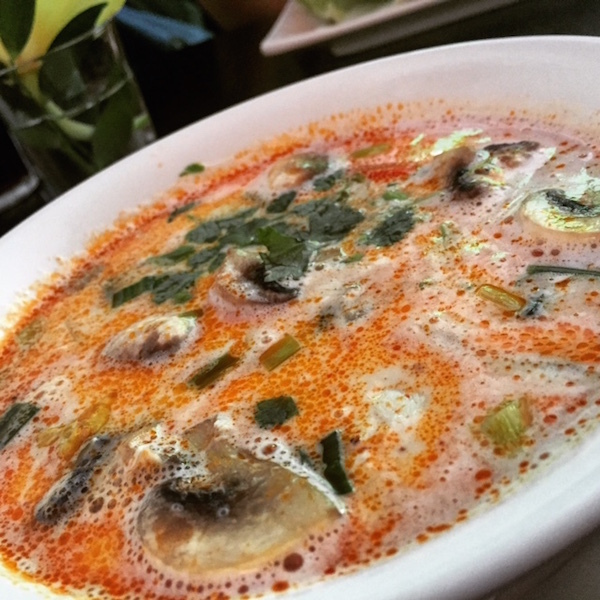 There is a handful, however, that truly embrace thai food in its spicy and exciting glory. Papaya True Thai Food is definitely one of the latter. And they have five locations around town! That said, we have only been (a few times) to the one in Charlottenburg, so we’ll stick to recommending just that one. 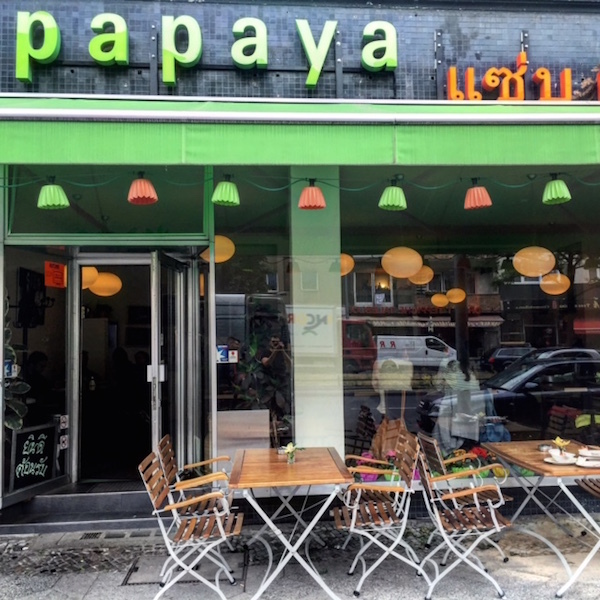 Located along Kanstrasse in Charlottenburg, Papaya can be easily reached by Subway (U-Bahn Station Wilmerdorfer Strasse). The restaurant design is somewhat shy in terms of ethnic elements (which can be a good thing) and does feel a little bit nondescript (décor-wise). However, the food at this place is so exciting and hot, that one quickly overlooks the somewhat “characterless” interior design. We always have a blast here! The extensive menu focuses on delicious, fresh, full of herbs and spicy Isaan dishes (Northern Thai Food). In fact, this place is one of the few in Berlin that you can truly get “Thai level spicy” food. Yes, they can accommodate less spicy versions of most dishes, but even then, they have some spice to them. If you are reading this, however, I am assuming you are fan of spice. WE ARE! Back to the menu. One of the stars is for sure the “Sour Fish” dish. Deliciously fried fish topped with sliced mango, ginger, herbs and spices. To die for! Not to be missed is also the grilled liver dish. 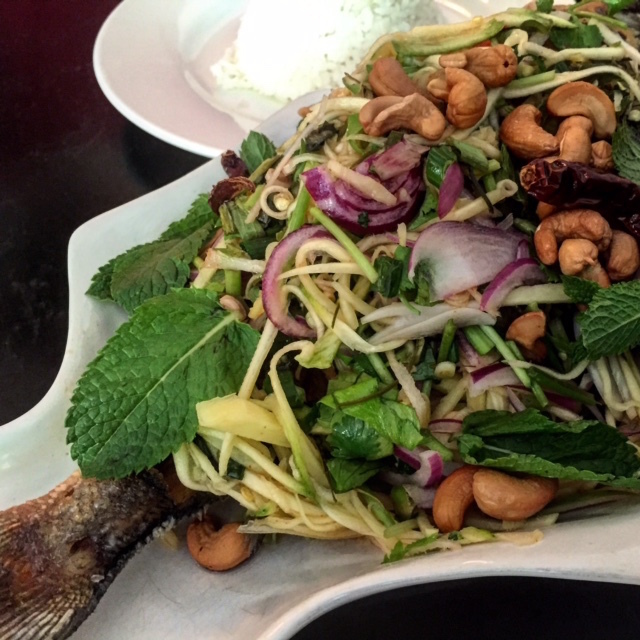 One can also safely order classics like the papaya salad, etc…they are all delicious. Come for dinner or lunch. Food quality is consistent throughout. Since you’ll be in the area, make sure to explore Kanstrasse’s distinct Asian feel and stop by some of the Asian shops. If you are into high end design, walk a little further and visit Stilwerk, one of Berlin’s home furnishings design centers. Another option is to explore Savignyplatz area.